When you line a dress and put in an invisible zip, do you find yourself hand stitching the lining into place? I did for quite a while and while it produces a good result, I found myself getting frustrated at how long this took. Now I insert them fully by machine using the following technique which produces the same result but it is quicker and, in my opinion, produces a stronger seam than my hand sewing. Here is the finished result for my Tea Leaves dress. The first thing to remember when using this technique is that it may differ from the instructions of your pattern. Plan ahead of time so you're not caught out during the construction. You'll need to complete your shell and lining but don't stitch them together - keep the neck seam and the back seam open. You could finish these seams ahead of time. Insert the invisible zip to the shell as you normally would and stitch the centre back seam from the bottom of the zip. Open the zip and lay out the shell right side up revealing the seam allowance the zip is stitched to. Take your lining piece and lay it over the shell, right sides together, matching the raw edges. Pin in place to the point your zip ends. Stitch the lining to the shell using a normal zip foot. You will be able to feel the teeth of the zip as a guide (shown between my thumb and the stitching). I tend to stitch about 3-4mm away from the teeth to keep the lining secure and ensure that it doesn't get caught when the zip is used. Repeat for the other side. Time to clean up the neck line. Take one side and open up the shell and lining so the zip is central. Move the lining to ensure the right side of the lining and the right side of the shell are facing. 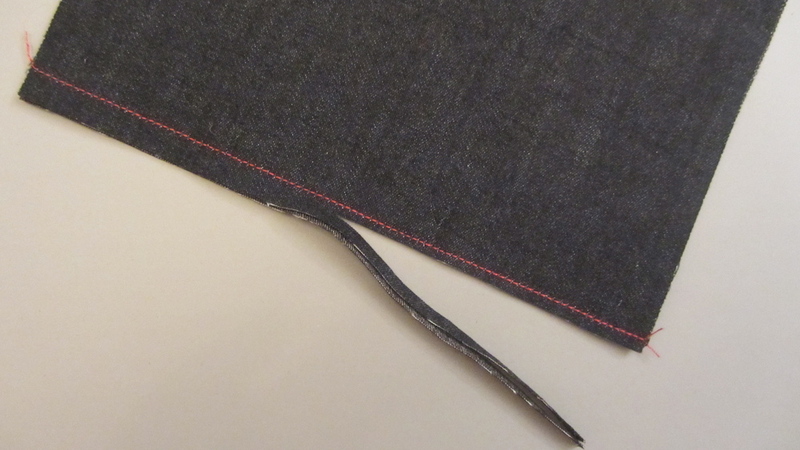 To get a lovely finish in the corners, fold the seam allowance towards the lining. Pin in place then continue to line up the rest of the neck line. Stitch in place. Repeat for the other side. Trim seam allowances and turn fabric to right sides out ensuring a neat corner. Move back to the inside of your item. Pinch the lining where you want the seam to start. Hold the fabric as you turn the lining wrong side out. Pin the centre back seam to this point and stitch in place. Press seam open. Ta-dah! A lovely clean finish on the inside and no need to pick up a hand sewing needle! Today I'm going to share how I did the Full Bust Adjustment needed for my Nicola wrap dress. An FBA will produce a bust dart. Normally this isn't a problem but I didn't want to add another dart to a bodice that already had three at the waist. In addition, my fabric was slightly stiffer than the recommended fabrics and I was sure that a bust dart would change the shape of the bodice more than I would like. So the excess of the bust dart needed to be moved to the darts at the bottom. Here's how I did it using the slash method. Sorry if you prefer to pivot darts - I just can't get my head around that method! Take your bodice pattern piece. Mark where the apex of your bust is. Draw in your seam allowance at the arm hole, in this case 1.5cm. line from the apex to the middle of the armsyce (green line). Draw a horizontal line from the apex to the side seam (imagine a bust dart here, the line goes through the middle of it) (red line). Finally, starting midway up the waist dart, draw a horizontal line to the centre front (purple line). Time to slash your pattern. Cut up the blue line, through the apex and continue to cut the green line until you reach the seam allowance. Stop here, don't cut through to the allowance. Snip into the seam allowance directly above but make sure you don't cut through - you want this piece to pivot. Cut along the red line but stop short of separating it completely - again you want enough paper attached that this piece can pivot. Cut the purple line completely - it should come apart from the pattern. Place a piece of paper underneath your pattern - you'll need this to fill in the gaps. You're now going to open the apex by the amount you need to increase the bust. In this case, I'm adding 2.5cm but yours may differ. In order for the pattern to lay correctly, you will see a bust dart form on the side. Tape the bodice down. The last step increased the length of the side seam. To make the centre front seam match, take the separated piece of your pattern and lower it until the centre front seam matches the side seam. Tape in place. Now it is time to remove the bust dart. Measure the dart at the side seam and make a note of it. Cut the lower line of the dart to the apex and the left hand part of the blue line. Move the pattern up so that the bust dart is closed and tape in place. Cut up the right hand line of each of the three waist darts to the red line - this will help the pattern lay flat when you move the darts. Divide the number you jotted down by three. This will be the amount you are adding to each waist dart. One by one, move the waist dart to include the amount and then tape down. Now you need to redraw the three darts. The tip of the dart will be at the same height but make sure you place the point in the centre of the opening. Draw lines from the bottom to the tip. Straighten up the bottom of the bodice and the front seam. Your pattern piece is now ready for use. Im currently on holiday in Barcelona (yay! sun, sea and tapas!). When I go away I'm forever struggling to identify my passport from the others I am looking after. So I made a cover for mine. Making this cover is a very quick project - it took me about 30 minutes. 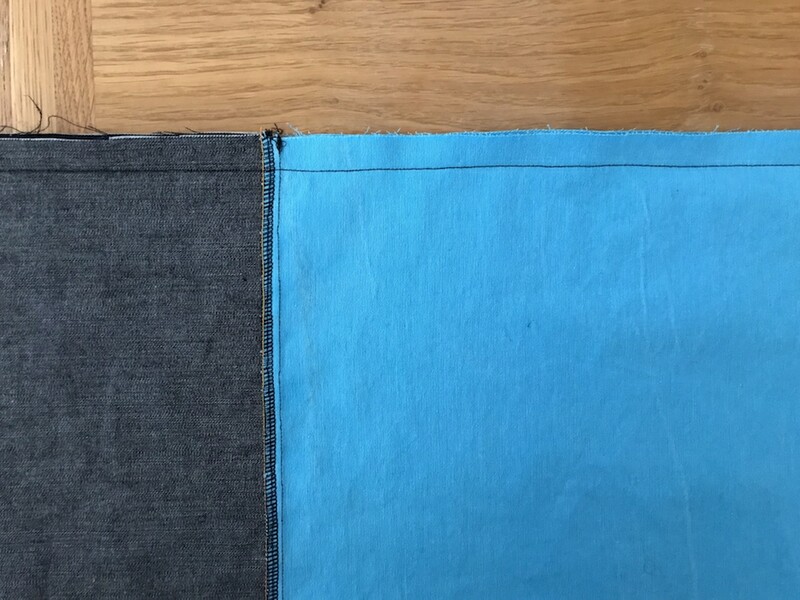 Cut a 34cm x 16.5cm rectangle in both your main and lining fabric. Cut another rectangle, this time 12cm x 6cm, in your main fabric. With right sides together pin the large rectangles together. Stitch using a 5mm seam allowance but make sure to leave a 5cm gap on one side. Cut off the corners being careful not to catch any of the stitching. Turn out the right way and press. Slip stitch the gap closed. Take the smaller rectangle, this will form the fastening tab. Fold in half, right sides together and stitch one short edge and the long one using a 5mm seam allowance. Trim the seam allowance and turn out. Press and top stitch. Go back to your main cover and press in half. Then fold each edge towards the centre so you have a 6cm overlap. Press. Now you need to work out where the fastening tab will go. Fold under the raw edge of the tab about 1.5cm. Fold the cover in half and place the tab over it so it is even on the front and back. Pin the back in place. Stitch in place near to the edge of the tab and the end of the raw edge. Add the popper to the back side of the tab and the front of the cover. Finally, top stitch all the way round the cover making sure you move the tab out of the way. Door stops - saving my sanity! Do you have doors that creak or are prone to slamming? We do. I'm constantly in and out of them when crafting as I always forget something or the ironing board is in a different room, and the creaking drives me insane! It is even worse when the windows are open in good weather. But not anymore. I made some door stops to retain my sanity! 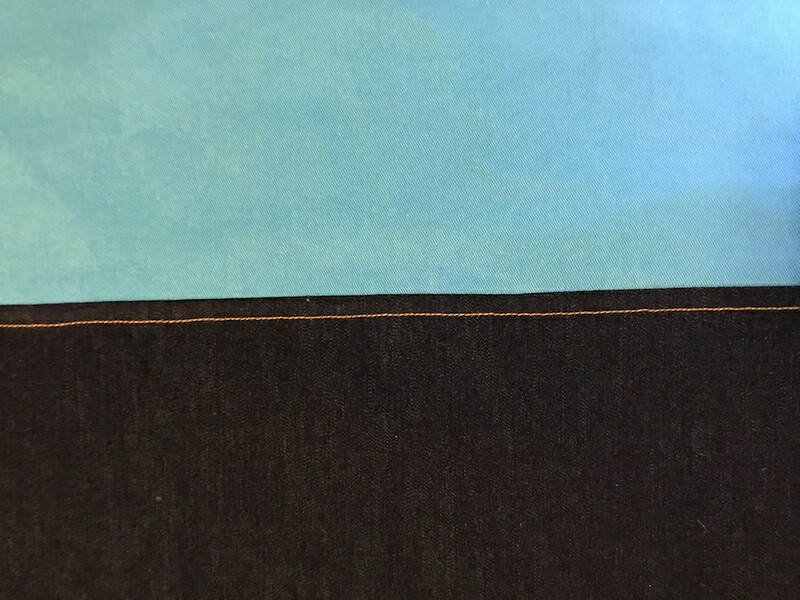 Seam allowance is 1cm throughout. 2. Prepare the handle. Take your 10cm x 20cm rectangle and apply the interfacing to the wrong side. Fold the fabric, right sides together, pin and stitch. Turn the fabric through, and press with the seam line in the centre. 3. Take your full circle and place it right side up. Take your handle and place it on top, right side up, allowing a couple of centimetres to fall over the edge. Baste in place. 4. Take your outer fabric 50cm x 22cm rectangle. Fold in half, right sides together and pin. Stitch and press seams open. 5. With right sides together, pin the circle into the cylinder. Stitch in place. 6. Take your truncated circles and press the straight edge under 2cm. Stitch in place. 7. 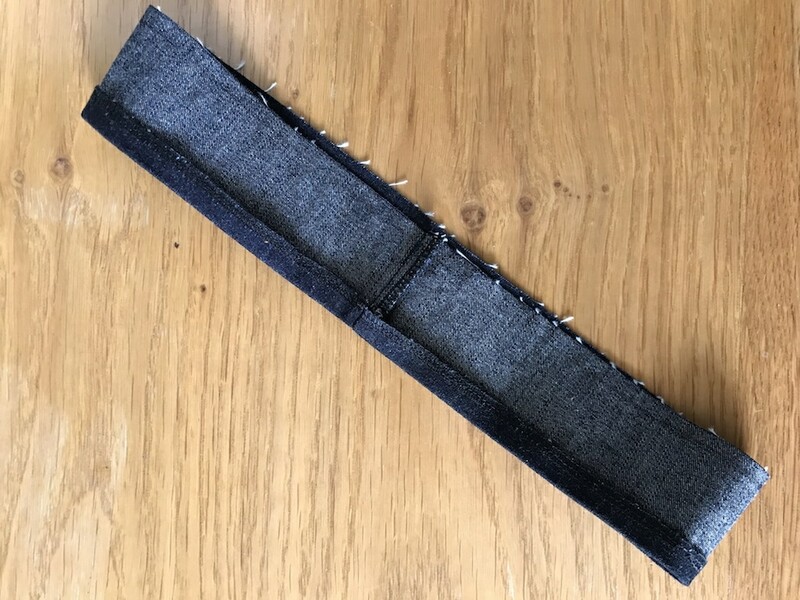 Cut two strips of velcro to the length of the straight edge. Place one on the wrong side of one truncated circle, the other on the right side. Stitch. 8. Put the velcro edges together. Pin the full circle to the cylinder, rights sides together and stitch. Open the velcro and turn the cylinder out. 9. Repeat steps 4-8 with your lining fabric. 10. Fill your lining with the gravel. Close the velcro securely. 11. Put the lining into the outer fabric, velcro circle first. You will need to manipulate the shape the lining to do this. Once in, close the velcro of the outer fabric securely. 12. Place by the door! I recently made four envelope cushions as a birthday present for Adam's mum (Hi Frances!) and thought I would share the construction with you. They really are very simple to make but they do require a teeny bit of maths. I've detailed the construction of a very simple cover but you can customise to your hearts content! Let's get the maths out of the way, otherwise you won't know what size to cut your fabric. First, you need to know the size of the cushion you are going to cover. You will need to create three pieces for the cover. The front is cut to the exact measurements of your cushion. 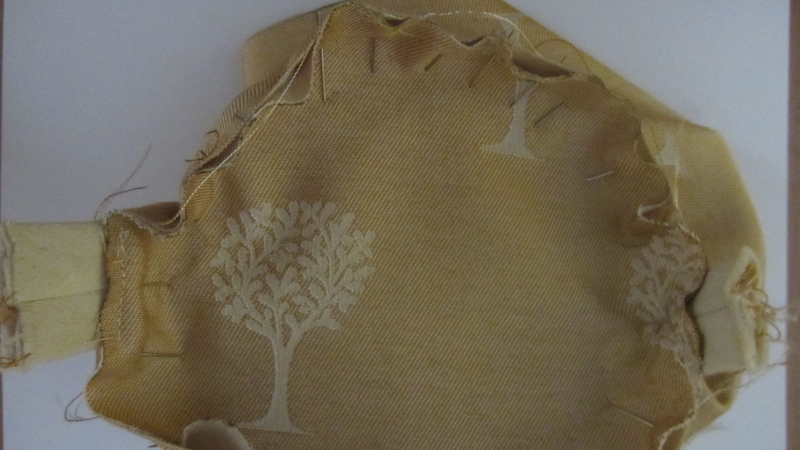 You will sew the cover together with a 1cm seam allowance - this will give the cushion a more upholstered, filled look. For the back pieces, they will be the same height as your cushion but they won't be as wide. You need to decide how much overlap you want on these pieces. Many decide on a third of the width of the cushion but I went for a little more so none of the filler could be seen. You then need to add 2cm for the seam allowance. Back: 50cm x 39cm (half the width of cushion + generous overlap + 2cm seam allowance) You can see the generous overlap in the photo below, it is about 12cm. Mark your fabric with your measurements and cut out the pieces. If you are adding detail to the front cover such as a pleat add this now. I did for one of the designs. Add your piping or trim to the right side of the front cover. Do this by starting somewhere inconspicuous enough to hide the join. I would suggest at the centre of the bottom seam. Pin the raw edges together but leave a tail of a few centimetres. When you reach the corner, turn the piping/trim into a tight corner and pin in place. Continue all the way around. The join will be different for piping to a trim. Begin stitching the trim in place a few centimetres from the centre. Stitch all the way round and finish a few centimetres from the centre. Fold the fabric in half and pin the trim at this point being careful not to catch the main fabric. Stitch the trim along that line and then trim the seam allowance. Finish sewing the trim in place. You want to create a curve with the edges of the piping at the join. Do this by laying one end of the pining across the other before you begin stitching. Stitch all the way around the sides. Continue stitching in a straight line when you reach the join. Trim the seam allowance. Take your back pieces. 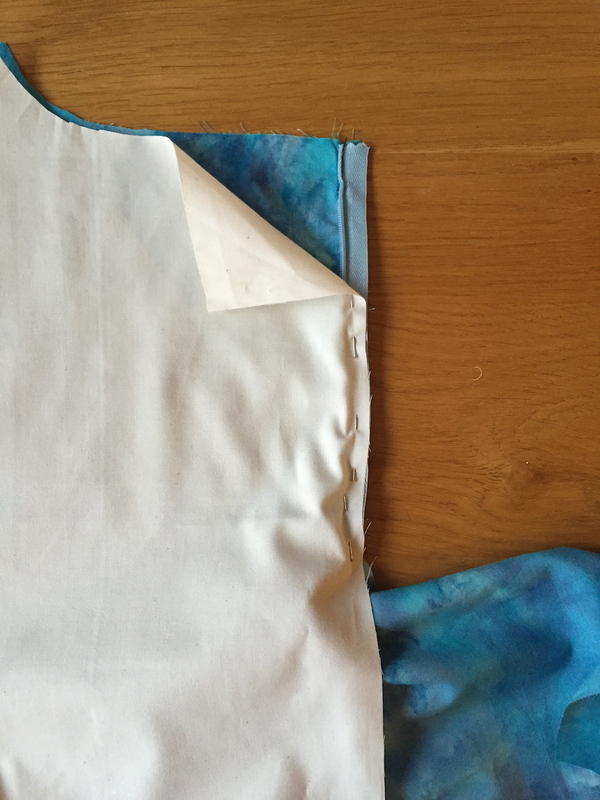 Turn under the overlapping seam by 1cm and then another 1cm. Stitch in place. Pin one back piece to the front cover and then the other. They will overlap at the top and bottom. Stitch all the way around using a 1cm seam allowance. Turn the cover through to the right sides and press if needed. Add the cushion filler and you're finished! Here are close ups of the ones I made. I can't take credit for choosing the fabric though, Adam chose them. After all of the wonderful comments about the map fabric I bought in Birmingham, I thought I should step to it and replace the cover of our ironing board. Turns out the language on the fabric is German, amazing what you don't notice when you're so caught up with a fabric! Our ironing board is HUGE and was in desperate need of a makeover. You can see the discolouration below which had seeped through to the polyurethane pad. I suspect this caused the discolouring as moisture can't escape through a non-natural fibre. I also had a feeling that one of the layers below the cover had split, or melted, and I was right, there was a rather large hole in the foam layer where it had tried to fuse itself to the metal frame. So why make my own? "It's only an ironing board cover!" I hear you say. But I have to look at that cover a lot when I'm sewing. Every now and then I would look for new covers and decide that all of them were not what I wanted. The range of offer was appalling in places! Turns out is rather simple to make your own. Make sure that you have 100% cotton materials otherwise you won't be able to use the highest heat on your iron. I haven't supplied quantities as each ironing board is different. Measure the board's length and widest part, then add 7cm or so for each side to allow for the extra fabric hiding under the board. You need to create a pattern for your cover. Remove your current cover and see if there is a polyurethane pad included. If so, pin that to your fabric and add an extra 7cm before cutting. Do this for the cover, the muslin and batting. Create a sandwich with your layers in the following order, from bottom to top: muslin, batting, cover. Baste into place. If you have ever made a quilt you can understand that this is the most time consuming part as you ensure you don't get any creases or bumps! Create your bias tape, if making your own. Open the tape and pin one edge to the raw edge of your sandwiched cover. Begin at the end where your elastic/string pulls tight. Machine sew all the way round. 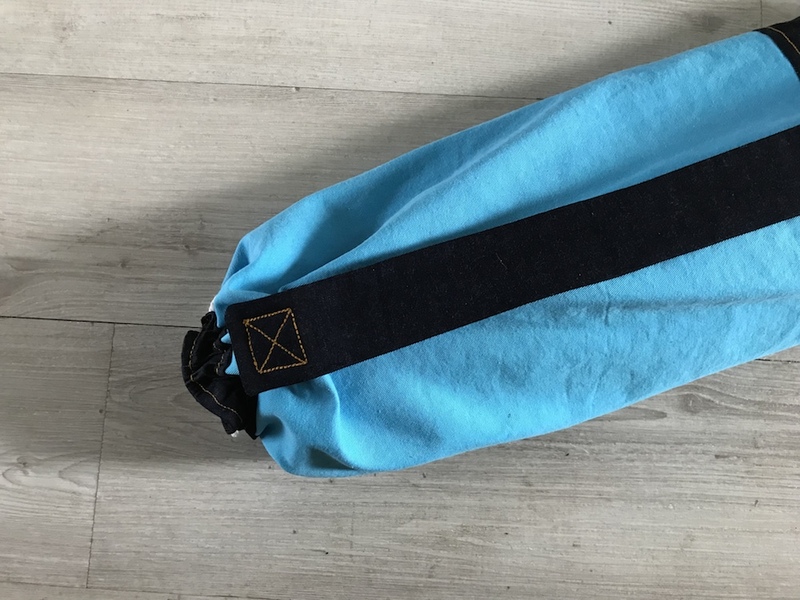 Fold over the bias tape and stitch along the line you have just sewn, this will create a case for your string or elastic. Ensure that you leave a gap to insert the string/elastic. Using a safety pin, thread your elastic/string all the way round. 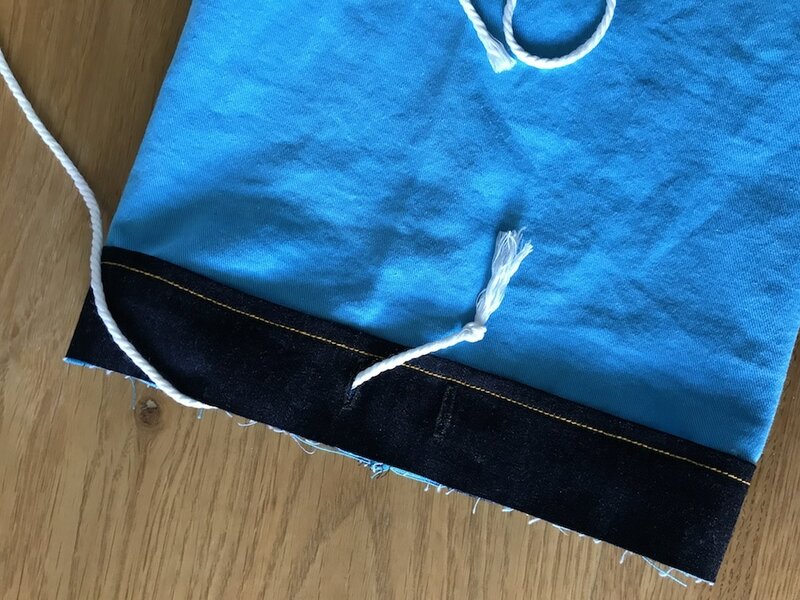 Another way to do this, if you're feeling brave and using string (elastic tends to be too wide) is to encase the string as you pin the tape but be careful not to get it caught in the stitches. Remove your basting stitches. 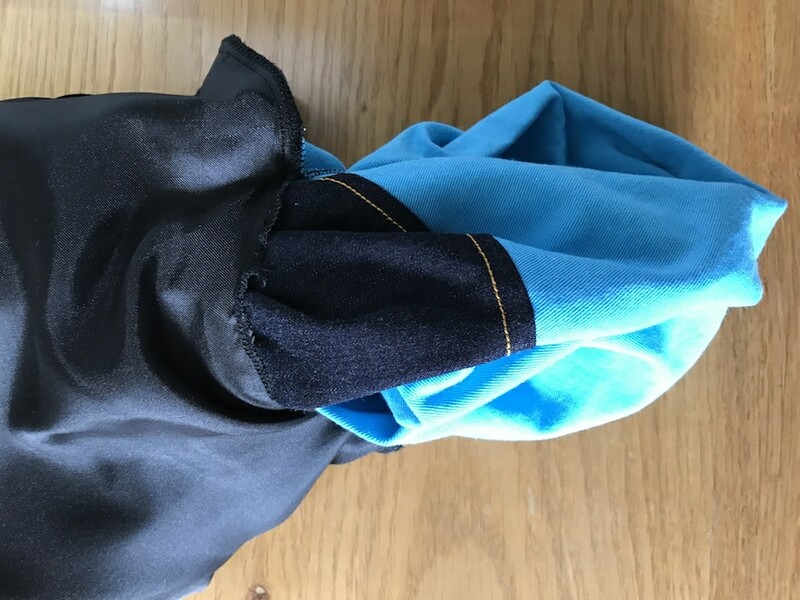 Put your new cover onto your ironing board and pull the elastic/string until the cover is taught. Tie off with a knot/bow. Viola! You have a new ironing board cover. And yes, I'm still very pleased that I went for the maps! One of the most common skills in sewing is knowing how to make even gathers. I love gathers but getting them to look even can be a challenge. Last night I discovered a neat trick to make this process easier. I'm going to start at the beginning in case there are people reading this who haven't gathered before. You should have marked your fabric with the gathering marks when you transferred the markings from your pattern where the area to be gathered is often marked by circles. They are the black x's on my fabric. Next stitch between these marks. You need to use a long stitch length (I used 4 here) and sew two lines - one at 1/4" and one 3/8" in from the edge of your fabric. Make sure you leave long tails at both ends otherwise you won't be able to pull the fabric together. Keeping the tails free, pin your pieces of fabric together at the ends. Next, gather the excess fabric by pulling gently on the tails, one end at a time. You'll see the fabric gather among the stitches. Now for the tip. Place a pin where the tails begin (the red pins) and wrap the tail threads around them in a figure of eight. This will hold them neatly and securely while you move the excess fabric among the stitches until they are even. Continue to sew in your preferred manner by basting the gathers in place and then machine stitching or just machine stitch. I'll definitely be using this every time I have to gather! Pin your fabric wrong sides together. Sew using a narrow 1/4" seam. 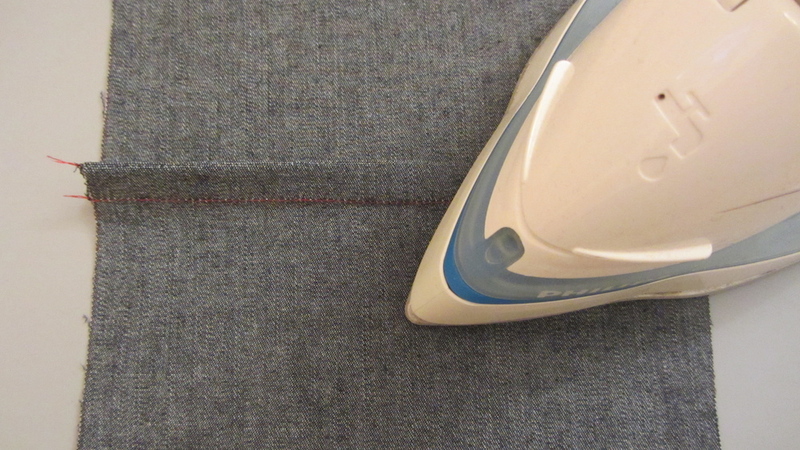 Press the seam flat and then trim fairly close to the seam. Press the seam down to the side. Turn your fabric over so the right sides are now together. Press again. 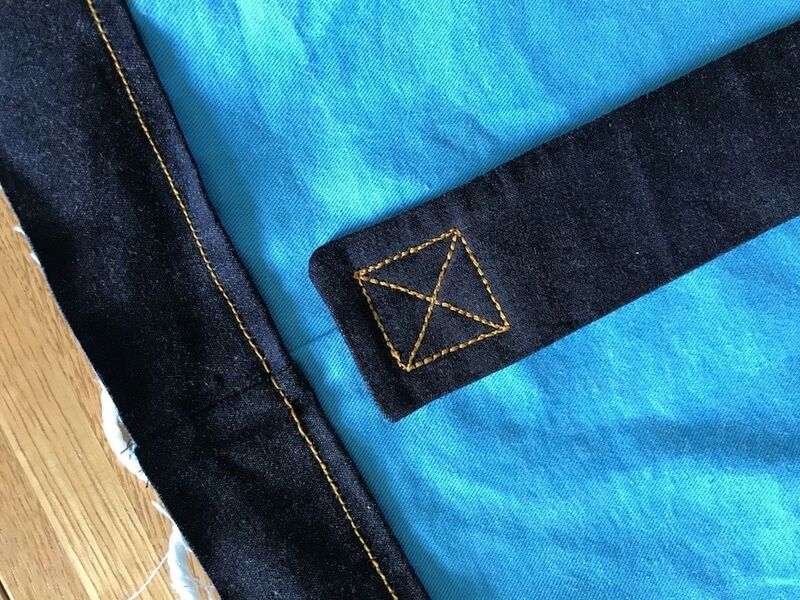 Return to your machine and stitch a 3/8" seam. This will ensure that the raw edge is encased. Press to the side. There you are - lovely, clean and neat seams. I’ve been making a lot of bias binding recently. 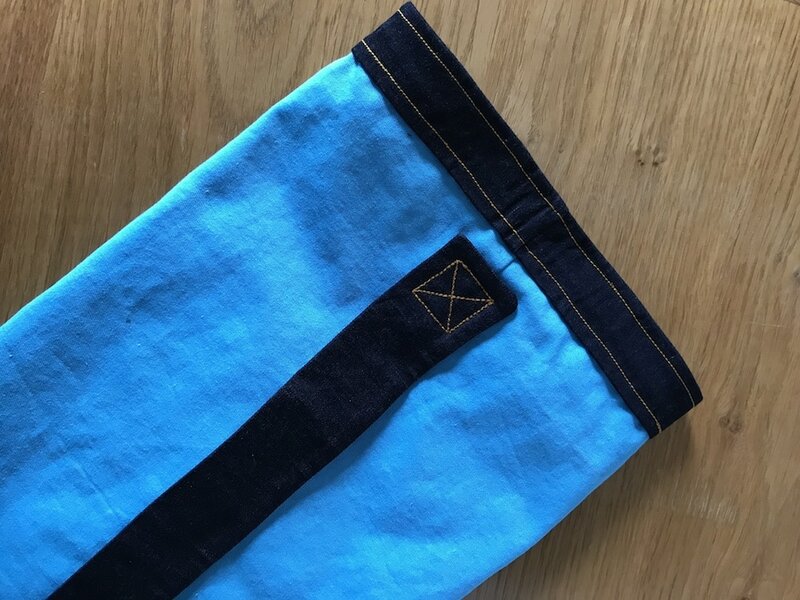 While there is nothing wrong with the stuff you can buy in the shops, none of them have quite matched the fabrics I have been using and there is something nice about creating your own. I generally use one of two methods, the continuous loop or the piecing method. The piecing method was my favourite until I mastered the potentially tricky step to join the sides in the continuous loop method. Anyone else have problems with it or was it just me?! Here’s how to make about 100” of bias tape from a 10x10” piece of fabric. Although growing up with metric, for some reason I still use the imperial measurements for making this. Cut out a 10x10” square of your chosen fabric. Fold it in half diagonally (along the bias) and cut along that line. Lay one piece over the other, matching the sides not the diagonal line. Pin in place. Edge stitch. Press open the seam. You should get a parallelogram like this. You now need to mark your cutting lines using chalk or a washable fabric pen and a ruler. Begin at the edge of the fabric and draw lines 1” apart. The lines should be diagonal and will be parallel to the edges. The more accurate you are here, the more tape you will make. Make sure you mark the wrong side of the fabric and leave your scissors alone at the moment! This is often the trickiest step. Fold the edges towards the middle to create a square with right sides together. Offset the marked lines by one and fold the tips under. It should look like this but with the tips folded under! You now need to pin the lines in place. Make sure that the lines match up at the seam line (¼” in) and not at the edges. (This is the bit that took me a while to work out!) The easiest way to do this is to put a pin through the connecting lines ¼” in. Stitch a narrow ¼” hem then press the seam open. You should have a tube like shape. Time to pick up your scissors! Starting with the first offset row, carefully cut along your marked lines all the way to the end. If you have a bias tape maker, pass the strip through it while pressing the folds. If, like me, you don’t have one here is an alternative way. Press the strip in half and then lay the tape open. Fold in the edges to the centre fold and press. This may take a little longer but it works! Please don't judge me on the state of our ironing board cover. And there you have it! Beautiful handmade bias binding. Do you have a preferred method or a different way of creating it? And what a mission it was! I completely underestimated just how long this would take - 8 hours from start to finish! In case you're not sure what I am talking about check out the last post. Turns out the lining for this coat is made up of 12 pieces! I didn't expect that and clearly I didn't look hard enough when I was working out how much fabric to buy. First, I took pictures of how the lining was attached to act as a reference when it came to inserting the new lining. 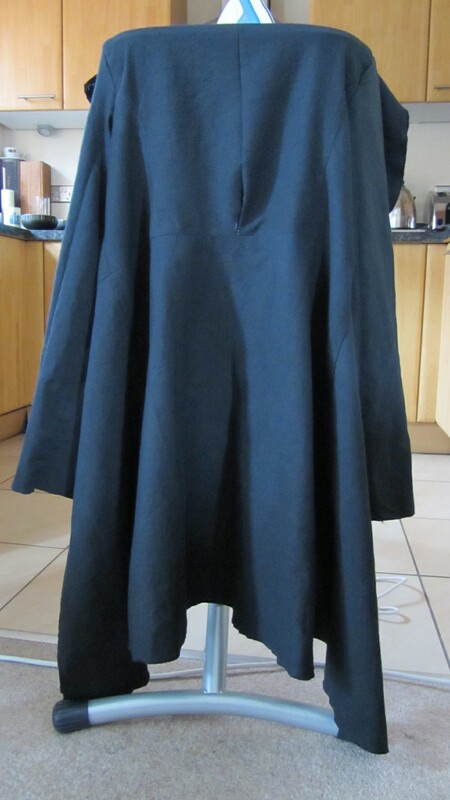 I then removed the original lining from the coat using a seam ripper (one my biggest friends in sewing!) Unpicking the sides took a while as there is a ribbon trim that I wanted to keep. I ended up ripping the fabric away from the collar as I got bored by this point. If you're going to do this yourself I would recommend unpicking as it is neater. 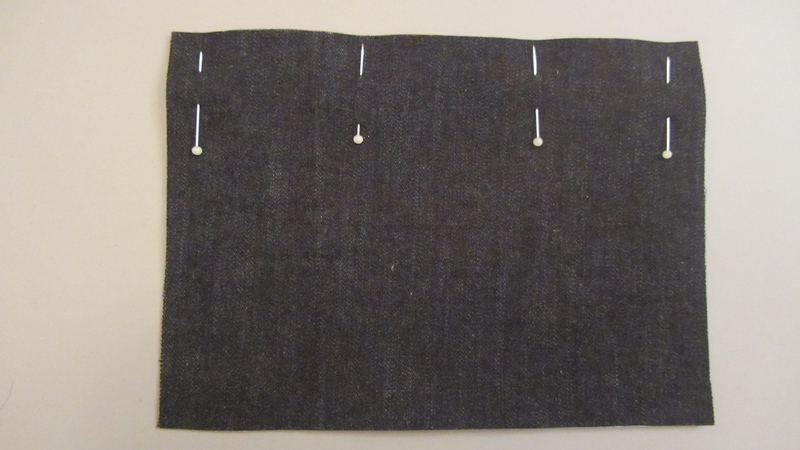 Many of the seam allowances looked like the had been trimmed so I marked a 5/8 inch seam allowance around each piece with tailor's chalk. I cut along the marked lines for each piece. I pressed under the seam allowances for the sleeves and the body hem. It was now time to join the lining to the coat and progress slowed. I pinned the lining to the front of the facings with the ribbon I had saved. After stitching in the lining I had to slip stitch the lining to the ribbons as the lining was lifting up a little too much. Apologies for the photo, I couldn't get a clear shot of black and brown together except with the flash which made it all shiny. It was then time to attach the lining to the collar and shoulder areas. I had to fudge this area as I couldn't work out how to attach the lining to the collar without taking it apart. Instead I pressed under the seam allowance and lined it up with the stitches and sewed it into place. I then hand stitched the lining to the cuffs and finally sewed the the body hem. And this is the finished result. I'm really pleased with it although I do miss the shine of the original lining. 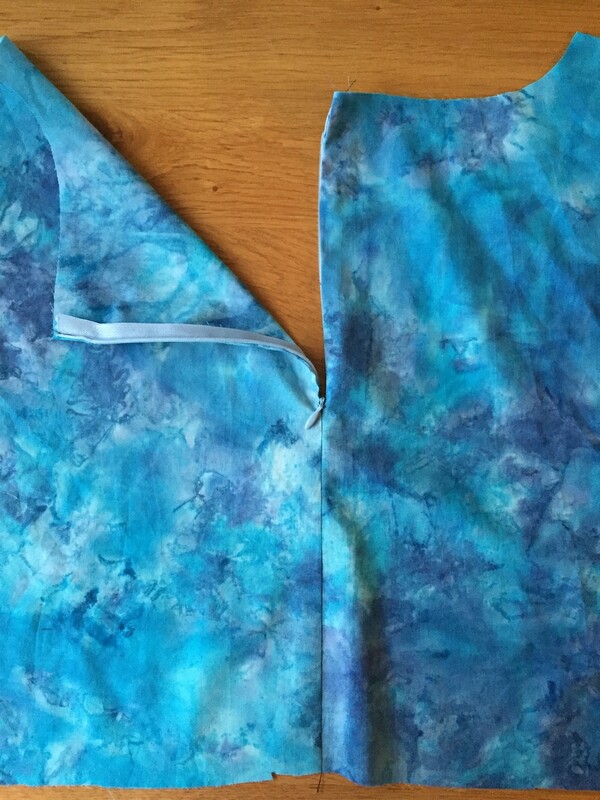 I swapped 100% acetate for a cotton sateen which lost it shine in the dyeing process. 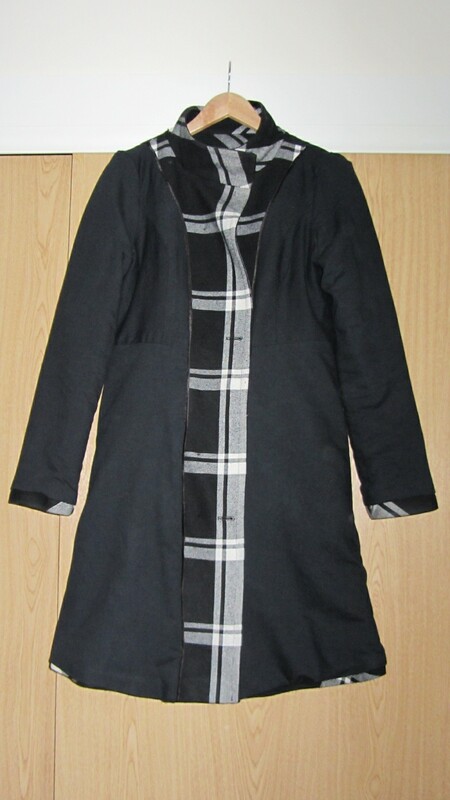 However, it fits well and I can pull the coat on and off without difficulty. Will I do this again? Hopefully not in the immediate future as this took a long time. Saying that, Adam has a couple of jackets that need the sleeve lining replaced and I have another request to line an unlined jacket so it might be sooner than rather than later!